What is A Seedbox? A Seedbox is basically a server which is sharing between multiple users or a single user depends on the package you choose. 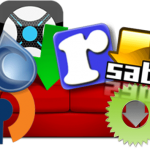 With these server’s you can download torrents. The speed of the servers depends on the plan you choose. From 100mbps to 500mbps to 1gbps to dedicated box. Seedbox is like a personal 24/7 running machine with an attached private hard disk for each user. 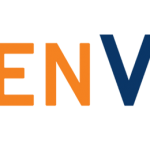 You can download, upload, store files, have access to all your data with few clicks. And it is hidden away from the prying eyes of big organisation and government. Nowadays, each and every company is monitoring your move. From your ISP (Internet Service Provider) to Big Fishes like Facebook, Verizon etc. In many countries like USA, UK etc. it is illegal to download torrents and can attract $1000+ fines. The reason to use a Seedbox is mainly Privacy and Speed. Here are some more reasons to use Seedbox. In many Private Trackers like IPT, TorrentDay, to name a few, you are required to maintain the ratio. To maintain ratio you need high-speed internet to seed back. Seedbox Helps. Your internet connection will be free while you acquire some torrents. Your torrent will be downloading on the server and will also seed back without attending it. It will act as a proxy while downloading torrent as well. So your own IP or location is not visible to the government or anyone else. It act’s like an online storage, with a specific number of hard disk space allocated to you. You don’t need to keep your PC online 24/7, you can rely on Seedbox to have the availability of 24/7. The speed of Our Seedbox? All of our Seedbox have 1gbps port minimum. However, the number of users varies from Server to Server so that gives bare minimum mentioned speed. Screenshot of the Download & Upload speed is added below. Still not convinced about the Seedbox furthermore having doubt about it? Why not try one? 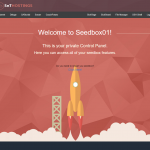 Click Here for Our Seedbox Plans. Owner of the site SnTHostings.com and write of this blog too. If any problem just contact us right away.